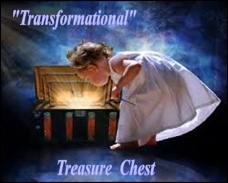 The Mind Spa Coach’s Treasure Chest is full of transformational thoughts, tips, techniques, wisdom and resources for mobile motivation and support, to help you reach your goals quickly and easily. 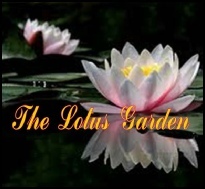 I share with you many things you can do on your own, at home, at work, and on the go with my articles, affirmations, meditations, and mind spa cinema vignettes to inform, inspire, support, and empower you. Articles to inspire, inform, enlighten, encourage and support your journey in creating a self-empowered lifestyle. A synthesis of philosophical, psychological, holistic, metaphysical, and spiritual traditions, with a blend of ancient mysticism, soul-centered wisdom, new millennium mysteries, and the great universal laws of mind, plus breakthroughs from the “New Thought Movement” in the personal growth community. Enlightenment is universal. My “Mind Spa Cinema” is an array of quotes filled with priceless moments of grace and beauty, profound enlightenment, moral encouragement, and soul-centered meaning... Classic and contemporary insight of universal experiences is the quotable spirit, revealed as priceless treasures, peals of wisdom from around the world created to soothe your mind, heal your body, inspire your soul, believe in yourself, empower your life, and change the world. 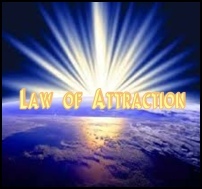 The Law of Attraction is one of the most powerful laws in the universe. Every thought that you have and pay attention to radiates a signal out to the universe seeking a matching vibration and that thought is manifested into your life here, now, and the future. Creative Visualization is a powerful tool of attraction that allows you to create a positive, new reality in harmony with your thoughts and desires… that you will master with our Guided Imagery and Mindful Meditation exercises. When you change your thoughts, you change your life… from fear into certainty, and from lack into abundance. 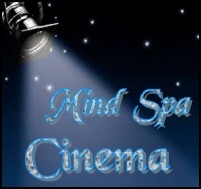 “Mind Spa Affirmations” are created to activate and instill peace, wellness, happiness, and success. In all cultures, words have power… Your body believes every word you say, which can and does affect your wellness, happiness and success. Self-Affirming statements are at the very core and carry a vibration of energy that activates your intention and ultimate transformation. They are positive, confident, life-enhancing beliefs and thoughts about you, your attitude, your behavior, and your life; that you consciously focus on to produce a desired result. to succeed, and what does happiness really mean to you? When you make a decision to do something in your life, it is amazing how many internal resources become available to help you to achieve your goal. This includes strength, courage, determination, love, patience, trust, and belief. You are a vital and integral part of all humanity. 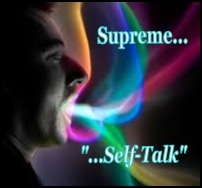 These universal concepts in meta-consciousness (heightened awareness), is a passageway to your self-evolution. It beckons you to be your best self and teaches you how to experience self-awareness, self-understanding, self-mastery, self-expression, and self-realization. these four paths to happiness… Motivation, Illumination, Affirmation, and Meditation. My purpose is to help you to get in touch with these internal resources to empower you in achieving your Special Dreams and Goal Success. Motivation is the belief you have within you, that it is possible for you to live your ideal life and become your best self.